George Washington, one of the wisest of all presidents, understood this very well and it’s revealed clearly in this quote. Another wise president was Thomas Jefferson, who was so against bankers that he thought they were worse than a thousand standing armies and he was correct. Clear evidence that house of Rothschild is one of the main players behind the insidious Federal Reserve banking system. Central bankers have caused more deaths and pain than the most tyrannical of rulers could ever dream of achieving. This has all been done in a cold and calculating manner. The only incentive being dollars; hence, lives are traded and sold based on the dollar amount they stand to make. If it’s profitable for them to let you live, then you live, if not they take you out. Money trumps everything; life is just another number on a piece of paper. 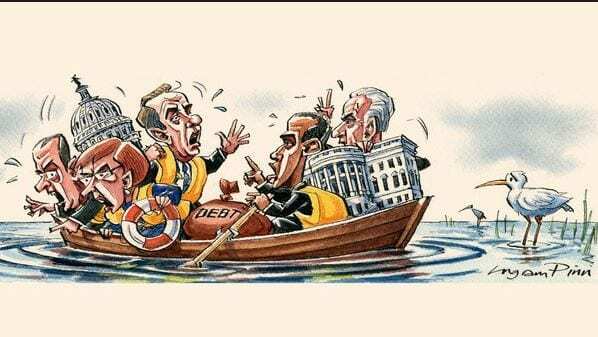 To cause a boom, they flood the markets with money and to cause a bust; they tighten the spigots. This is how every bubble is created; some examples of modern day bubbles are dot.com, housing crisis of 2008, and the current hot money bubble. The current ultra-low interest environment is fuelling a hot money bubble. The first stage of this bubble was created by allowing corporations to borrow large sums of money and use this to buy immense amounts of their shares back, thereby artificially boosting the EPS and making it look like all is well. When in fact, nothing is improving and only the number of outstanding shares is dropping, which gives the false impression that profits are increasing when they are not. In fact, in many instances profits would have declined if the share buyback programs did not exist. 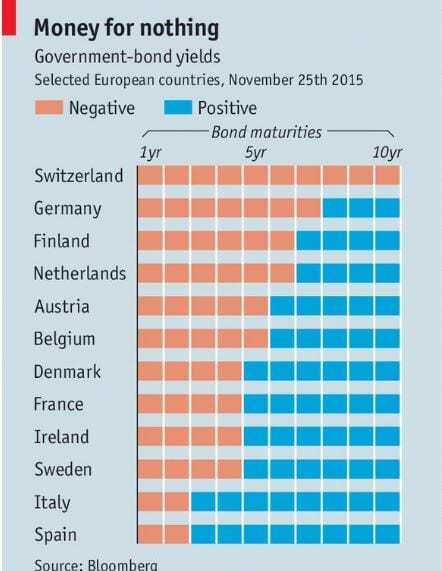 The Corporate world will embrace Negative rates with gusto as it will be akin to crack addict being given a new dose of super crack. History does not change, only the outfits change, but the con is always the same and the ones left holding the empty bag are the sheep (otherwise known as the masses). The Fed is trying to put on a brave act, but you can already see them backtracking from the strong stance they took last year. Now they are stating that all is not well, and the economic outlook is weaker than expected. They will have no option but to join the rat pack; in this instance, resistance is futile. The markets are totally controlled and manipulated; every boom and bust cycle was planned in advance of the event. The chart below illustrates that the economy is far from healthy, in fact, it appears to be almost in a coma and is being forcefully kept a life through immense injections of hot money. . Take away the hot money and this illusory economic recovery crumbles; if a market is healthy the velocity of money increases and vice versa. 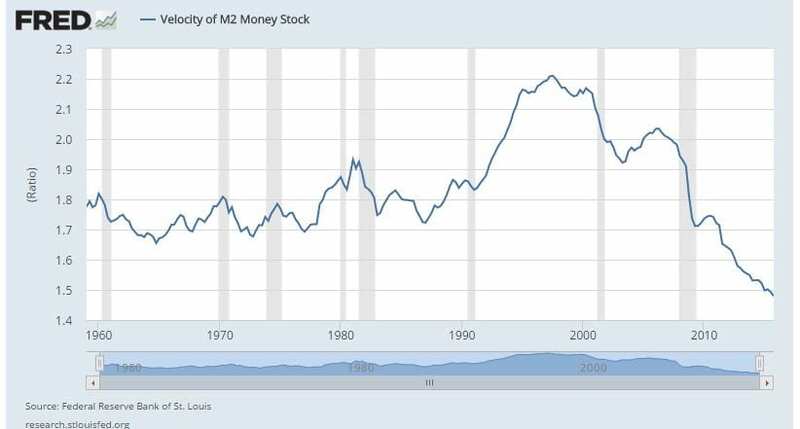 Look at the chart below, the velocity of money is dropping like a falling dagger. This means that the economy is in a coma, and the only reason it’s showing any signs of life is because of the massive injections of hot money it’s receiving. 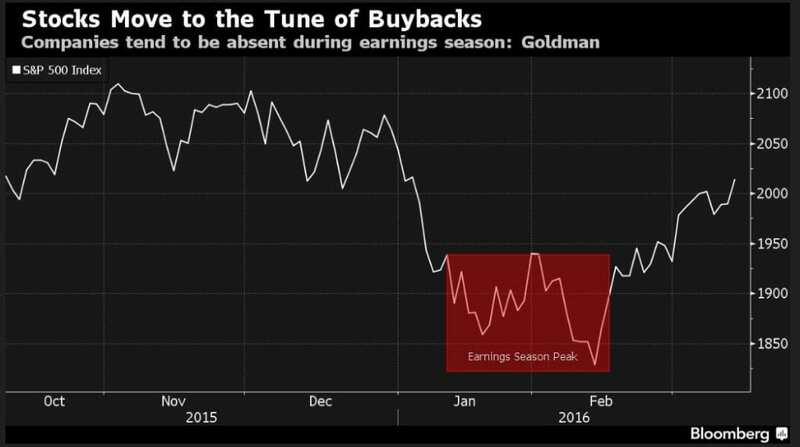 A clear illustration that stocks are moving in sync with corporate share buyback programs; when stocks pull back corporations jump in and buy. Take a look at the period from Jan to Feb, corporations stepped in and bought a boatload of shares, and the market soared. 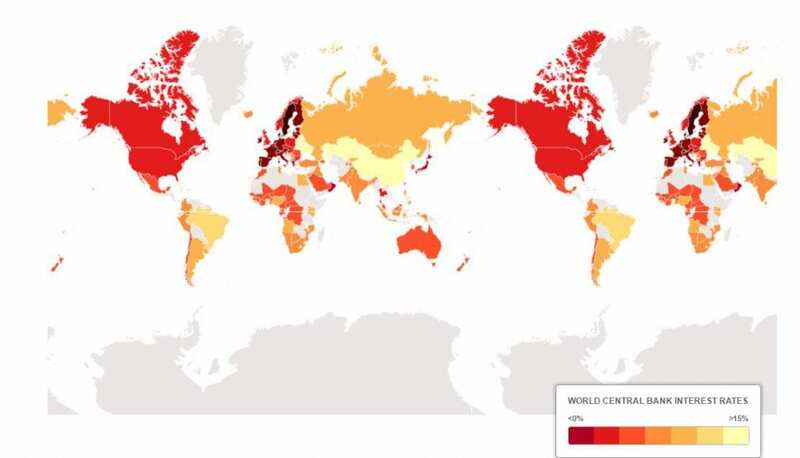 Currency wars are picking up steam; a host of nations are now joining the bandwagon, as illustrated by the chart below. Get ready for the next stage of the mighty currency wars; imagine having to pay the banks to keep your hard earned money. The worst being that the banks will lend this money out and earn interest on it; they will win on both sides. Low rates have forced people to speculate so imagine what effect Negative interest rates will have on the populace and on the corporate world. To the corporate world, it will be a clear signal that they should continue raiding the cookie box. Buy back more shares, boost EPS, get higher bonuses, and do the same thing over and over again, until the cycle ends and then send the bill to the masses. 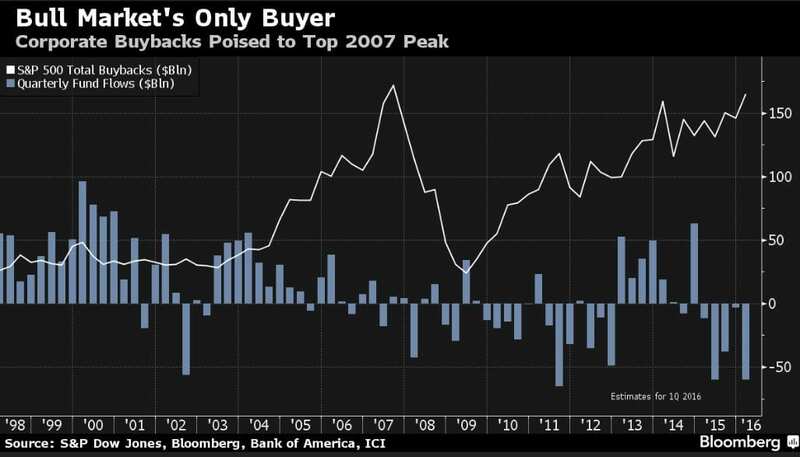 The trend is up regarding share buybacks, and as Central bankers worldwide are gravitating towards negative rates, it is fairly safe to assume that this trend will continue for quite some time. The masses are not revolting against this form of illicit behaviour and until they do, expect the dollar amount committed to share buybacks to spiral out of control. Manipulation is the order of the day, and one can see this in every aspect of one’s life. This trend will continue to gather steam, and it will only end when the masses revolt. The masses are notorious for responding very slowly, so we can assume that by the time they snap out of their comatose, the markets will be trading at unimaginable levels. We expect corporate debt to trade at levels that will make today’s insane levels appear sane one day. Against this backdrop you have only one option; every major pullback/correction has to be viewed as a buying opportunity. The markets will continue to be manipulated probably until the end of time, so until the trend changes, every strong pullback has to be viewed as buying opportunity.